Outdoor gas grills and patio heaters are both products that are made, mainly, for use during specific seasons. Gas grills are most often used during summer, but they are also frequently used during the spring and fall seasons. Patio heaters, on the other hand, are used almost exclusively during the winter. Both of these appliances are relatively low maintenance, but there is a certain amount of preventative maintenance and care that needs to be undertaken in order to ensure optimal operation. To learn more, read on. The first bit of maintenance that you should do when you get your grill is to run it for an hour or so to burn the residue off from the manufacturing process. Once you've done this, it is a good idea to spray some non-stick product on the actual grill that you place food on. Even if you are not wanting to grill anything in the foreseeable future, this will reduce the likelihood of food sticking. 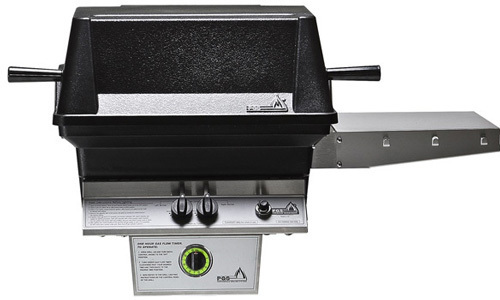 The most important part of routine maintenance of PGS gas grills is cleaning. As you may already know, wire brushes are the best for getting those stubborn bits of food and grease off of your grill. There are also various chemicals made specifically for grill cleaning. Finally, you want to always use your grill cover. This will not only keep your grill clean, it will protect it from the elements. During the winter, it is a good idea to take the grill apart and scrub it thoroughly. Also, inspect it for any parts that may be broken. Especially be on the lookout for rust. Even a slight bit of rust needs to be removed. One of the most important bits of preventative care is to regularly check the rubber hose that runs from the tank to the pit. Many small creatures such as mice and rats are known to chew on these hoses. If you have the smell of gas when you switch on the grill, turn off it immediately and check the hose. Patio heaters are very simple and reliable devices. However, they still need a certain amount of preventive care and maintenance so you don't need to buy replacement parts as frequently, or ever. This maintenance is quite simple, as you might expect given the nature of the device. There may be a little more maintenance required if you live in an area with harsh outdoor conditions. One thing you should do is check the gas cylinder regularly to make sure it is full. If you are trying to run a propane heater with an empty tank, it may actually damage in mechanism over time. Obviously, it also will not heat properly. If there is a full cylinder of gas and the heater is still not working, listen near the burner to try to hear the hissing sound of the gas. With an electronic ignition, there should be an automatic spark. If there is a spark with the heater still not working, you can use a lighter to try and get it to light. To prevent this from happening, you should check your ignition system on a regular basis to make sure it is still producing a strong spark. Of course, when you're checking the ignition system or propane heater, you need to be very careful. Make sure that you do not have the gas on during this time. You're only trying to check the ignition, not the actual heating power of theSunglow Heaters. Another important bit of preventive maintenance and repair is checking the gas regulator. The regulator is a connector that joins the pipe that goes up to the burner with the tank. You should check on a regular basis to ensure that it is not punctured or worn in any way. Also, make sure the switch on the regulator is in the on position, when checking it for leaks. It is easy to bump into it and knock into the off position. Possibly the most important preventive maintenance, besides yearly service, is to clear the gas pipe. Gas pipes for patio heaters are rarely blocked, but it can be a serious issue if they do get blocked. To check it, remove from the regulator by detaching the pressure-fitted pipe clips. The best way to make sure it is clear is to blow air through the pipe. If there are blockages in the pipe, they should be blown free as long as you blow air with a fair amount of force.